Wendy Greene, associate professor in Samford University's Cumberland School of Law, was named a rising star in the January 2014 issue of Diverse: Issues in Higher Education magazine. Greene received one of 12 national honors as an emerging leader in legal academia. Greene joined the Samford faculty in 2007 and was nominated for the honor by Samford's Office of Diversity and Intercultural Initiatives. Diverse magazine profiles 12 scholars under the age of 40 from across the country who are making their mark in the academy through teaching, research and service. Honorees are selected from a pool of candidates recommended by various scholars, department chairs, university public information officers and others. 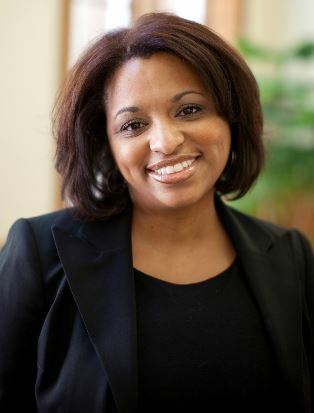 In the magazine profile, Greene notes that her childhood dream of becoming a lawyer was "[i]nspired by the late Supreme Court Justice Thurgood Marshall and the stories of her parents' participation in student-led sit-in demonstrations for civil rights" and her inspiration to become a professor was deeply rooted, as she was born into a family of educators. Greene noted that the award holds deeper significance. "To be named an 'Emerging Scholar' is an absolute honor-an honor greater than my accomplishments and me," she said. "It is a reflection of countless individuals who have invested in my professional development and have understood the importance of my advocacy for racial and gender equality domestically and abroad." In addition, Greene acknowledges she is very fortunate to have a broad community of family, friends, colleagues, and students who support and encourage her scholarship, teaching and service. She has been recognized with both teaching and research honors: the Lightfoot, Franklin, and White Award for Best Junior Faculty Scholarship and the Harvey S. Jackson Excellence in Teaching Award for Upper Level Courses. In addition to teaching, Greene is the law school's director of faculty development. She has been responsible for bringing leading legal scholars from across the nation to present their scholarship at Cumberland School of Law, as well as cultivating programs related to teaching and scholarly development for the faculty. She is widely-published and has spoken and traveled extensively as a presenter. Greene has a master of laws degree from The George Washington University Law School; juris doctorate from Tulane University Law School; and bachelor of arts from Xavier University of Louisiana. Much of her scholarship is focused on racial discrimination stemming from the enactment and enforcement of workplace grooming codes.